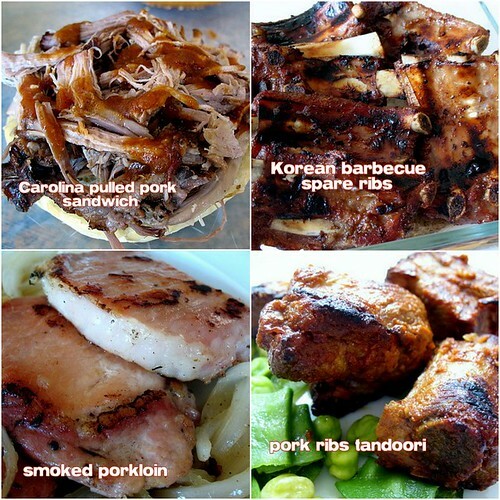 Pork and Me: A Love Story ~ I Can Do That! My love affair with pork came late in my life. 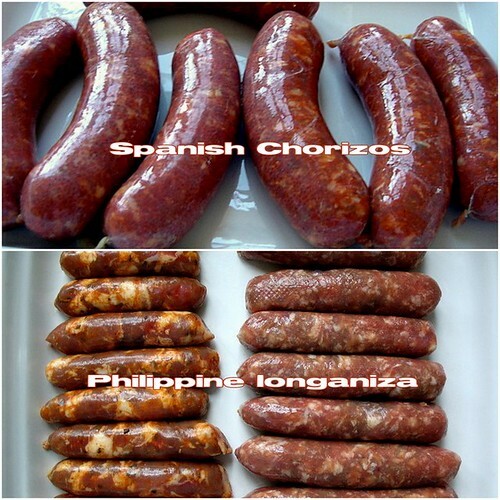 Growing up we didn't have much pork dishes because my parents specially my dad didn't like it. He didn't mind small portions of pork as a flavoring in vegetables, noodles, and in chicken pork adobo, and maybe once a year he was fine having grilled pork chops. 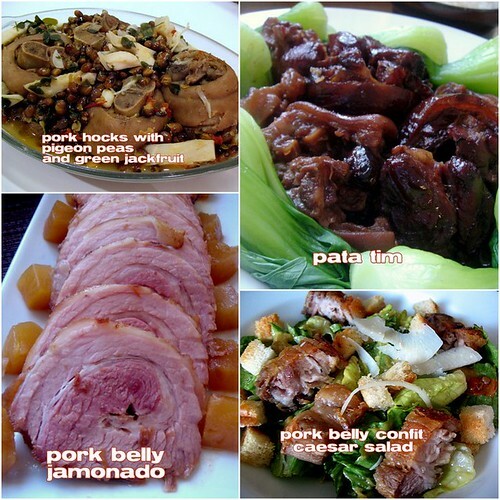 I myself didn't cook pork very often and only have been cooking it more frequently since I started this blog 4 years ago. Better late than never in discovering its goodness, I guess. 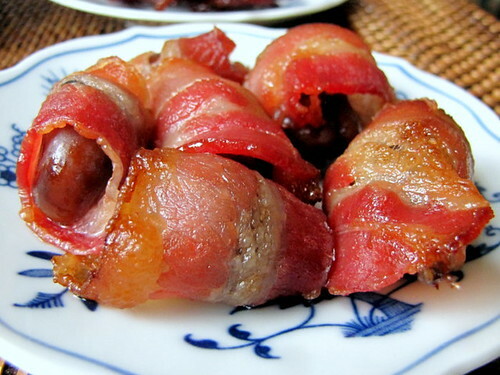 I made these bacon appetizers today. They are so porklicious specially the bacon candy. Wrap the chestnuts in bacon pieces and place on a wire rack cut side down. Place the wire rack on a baking sheet lined with aluminum foil. 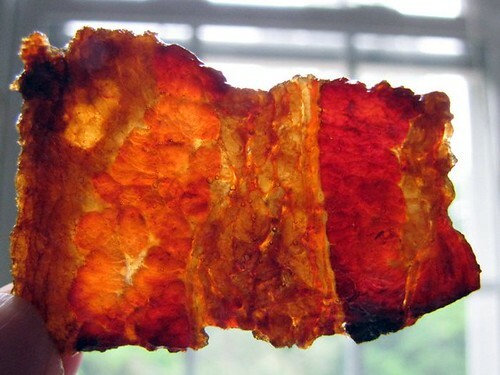 Bake in a preheated 350°F oven until bacon is golden and cooked through. Dredge the bacon pieces in brown sugar. Place on a wire rack and put the wire rack on a baking sheet lined with aluminum foil. Bake in a preheated 350°F oven until caramelized and darkish brown (do not burn). They will become crisp as they cool. as for the candied bacon, i've made a version of that but drizzled with maple syrup and coarsley ground black pepper (adds a nice kick). My son came home from college and wants pulled pork. I am drooling. And here I was craving for old-school binagoongang baboy today! What is it about pork that makes people crave for it in this part of the world despite the awful heat?!? R, maple syrup and ground pepper sounds delicious! Anne Marie, I should have linked the recipe then. The pulled pork recipe is very yummy. Midge, binagoongan with lots of ripe tomatoes is one of my faves. 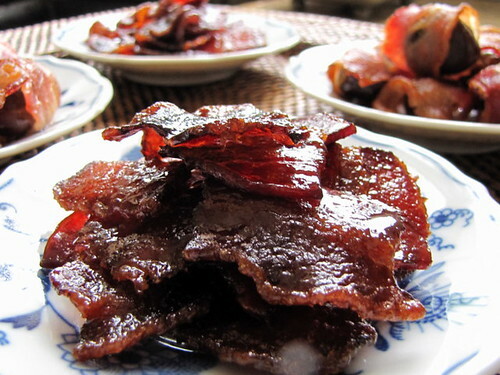 Don't forget deep fried pig skin, better known as Chicharon! yay!